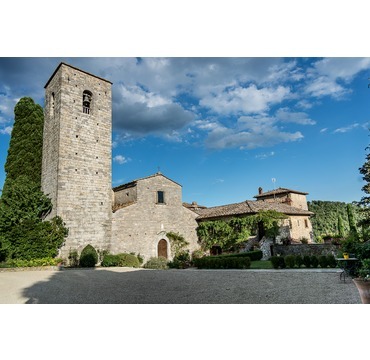 We cannot talk about Castle di Meleto without also discussing the land of Chianti Classico - a territory which is not very extensive but naturally very rich, with a priceless historical and artistic patrimony, and a bountiful enogastronomic tradition. 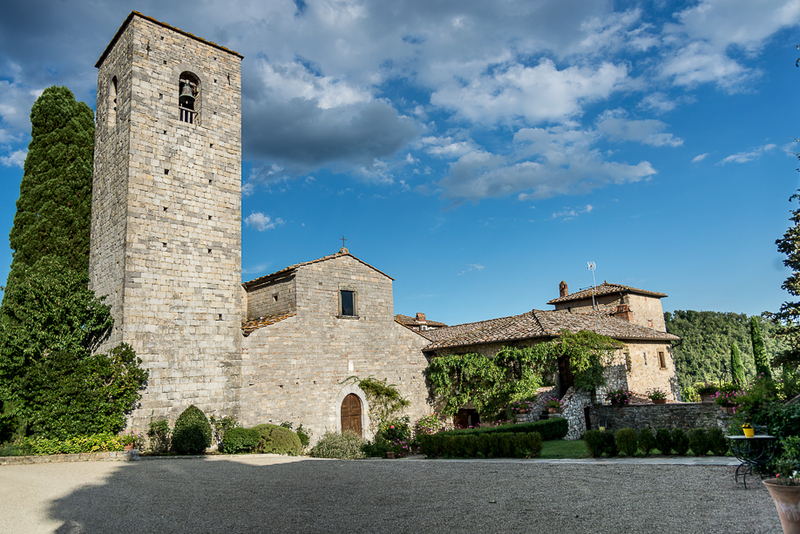 Land of nobles and peasants, merchants and knights, the Chianti region was the site of epic clashes and dense political plots, playing a decisive role in Tuscan politics. 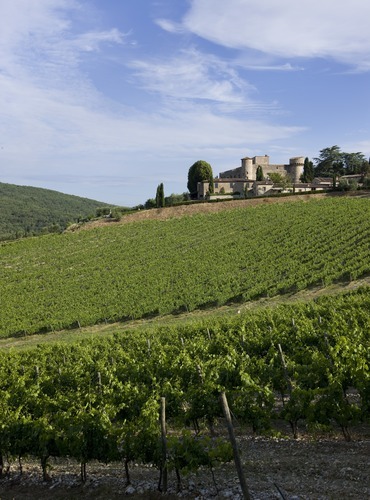 Here wine is tightly woven into the history of the land, taking on an influential role. Chianti wine was already enjoying wide-spread success when in 1716 the Grand Duke of Tuscany, Cosimo III, in a formal decree defined the area of production of this already famous wine. 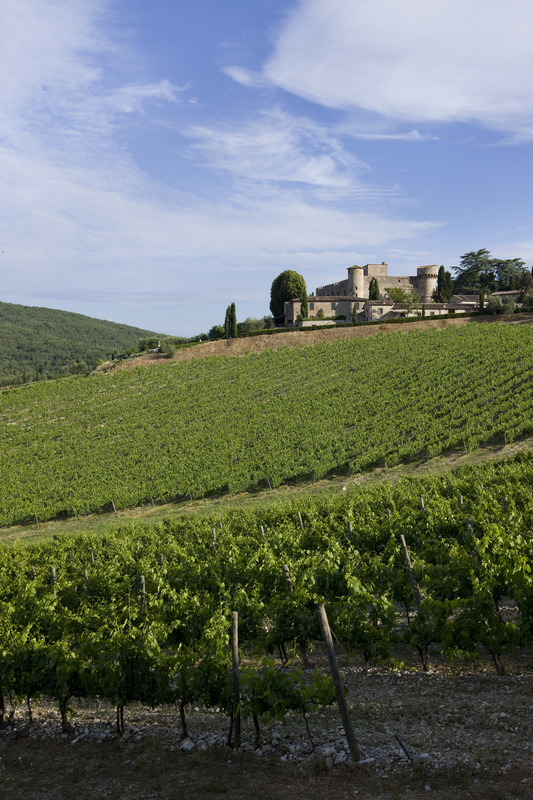 The Chianti production region became therefore synonymous with Chianti wine. Historically, the name Chianti should be attributed only to the municipalities of Gaiole, Radda and Castellina, those territories that at that time comprised the medieval "Florentine Military League of Chianti", represented by a Black Rooster. At the beginning of the twentieth century Chianti wine had become so renowned that the production territory could no longer satisfy the growing demand. Therefore, Chianti wine began to be produced outside of the historic area but was nevertheless referred to as "Chianti" or "wine produced for the use of Chianti". In 1924 wine producers founded the "Consortium for the defense of the typical wine of Chianti and its source of origin" to safeguard production. The symbol chosen was the Gallo Nero, or Black Rooster, historical emblem of the medieval Military League and portrayed in Giorgio Vasari’s "Allegory of Chianti" depicted on the ceiling of the Salone dei Cinquecento in Palazzo Vecchio (Florence). By the time the Denomination of Origin was introduced in 1932, the term Chianti Classico had been extended to the Florentine territories of San Casciano and Tavarnelle Val di Pesa, Greve and part of Barberino Val d'Elsa, in addition to the Sienese municipalities of Castelnuovo Berardenga and Poggibonsi. Today, only wines produced in these municipalities can bear the name "Chianti Classico" and are labeled with the famous Gallo Nero label. 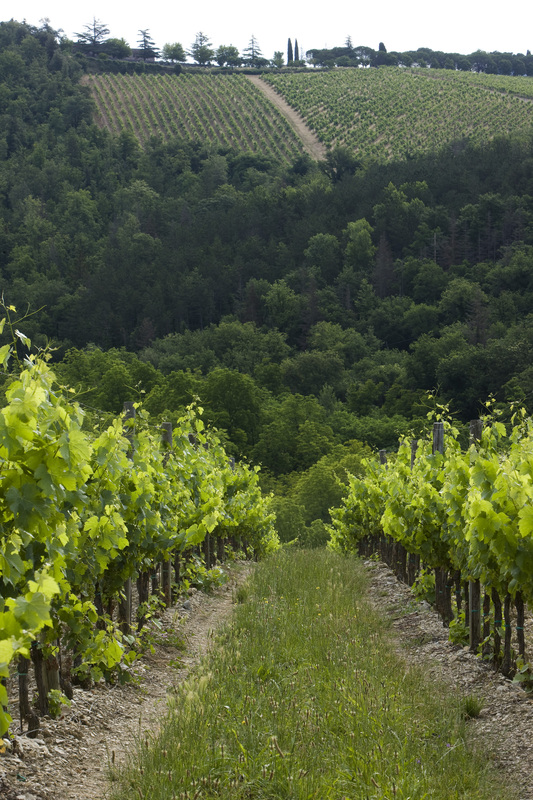 This denomination, with its more than 7,000 hectares of vineyards recorded in the Register of DOCG, is one of the most important denominations of Italy.